The following document is a printable collection of images to aid amateur astronomers in the verification of Messier objects. This project came about from my own frustration in successfully finding all of the Messier objects. Many objects are quite obvious when found, even when using simple star charts. Other objects can be difficult. Some are very faint. Some are next to, or even within, other objects. It is very important to me to be able to confirm, without any doubt, that I have found the correct object before checking it off my list. There are other printable documents like this available online (see links below), but I found the images to be cropped too tight, printed too small, or even incorrect. I concluded that larger images that showed a significant amount of surrounding stars and objects would be more beneficial. The images I used are sourced from the STScI Digitized Sky Survey. 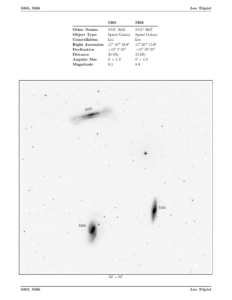 This sky survey is a popular composite of multiple sky surveys dating as far back as 1992. The sky survey images are digitized images from photographic plates. 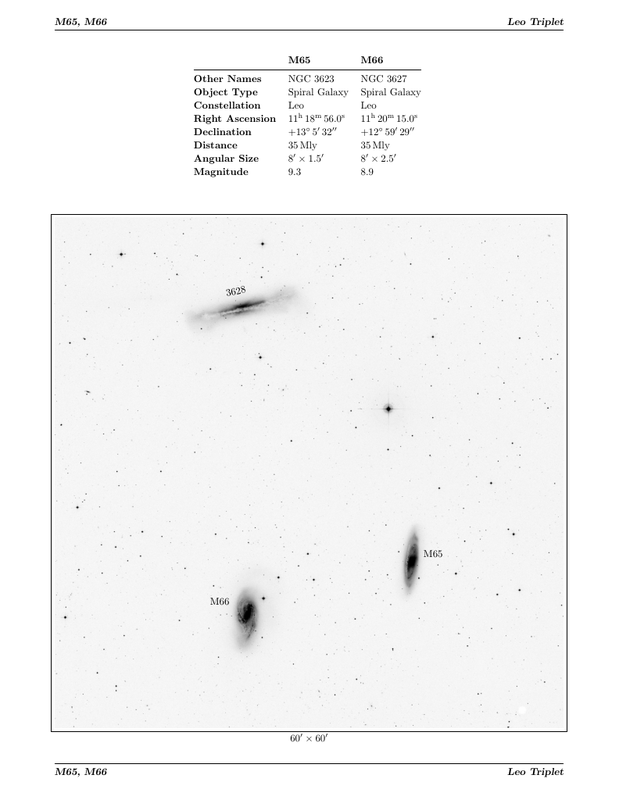 The reason I chose this sky survey for this document is because I wanted the images to be used by visual observers. More recent sky surveys are far more spectacular, and therefore, far less realistic for someone simply looking through their telescope. The Messier object numbers serve as page numbers. When sequentially numbered objects appear in the same image, the objects share that page. When non-sequentially numbered objects appear in the same image, the object is repeated on its own page. This document is intended to be printed duplex with the Messier numbers displayed on the outside edge of each page. It also works well to print the pages single sided and insert pages back-to-back in plastic page protectors. You may need to adjust your printer driver settings to print these as images instead of as a document to get the best results. Here are some printable image resources worth checking out that other people have created. These are a great set of finder charts. This is what I originally started with when looking for Messier objects. The images included are small, and a couple are not correct. The M40 image is a good example of why I wanted to create a new resource. This is an outstanding collection of images. They are printed 16 objects to a page. I use these when I’m trying to verify non-Messier objects. It is very much worth downloading the “Deep Sky Hunter” atlas from this same site if you are looking for a detailed sky atlas.